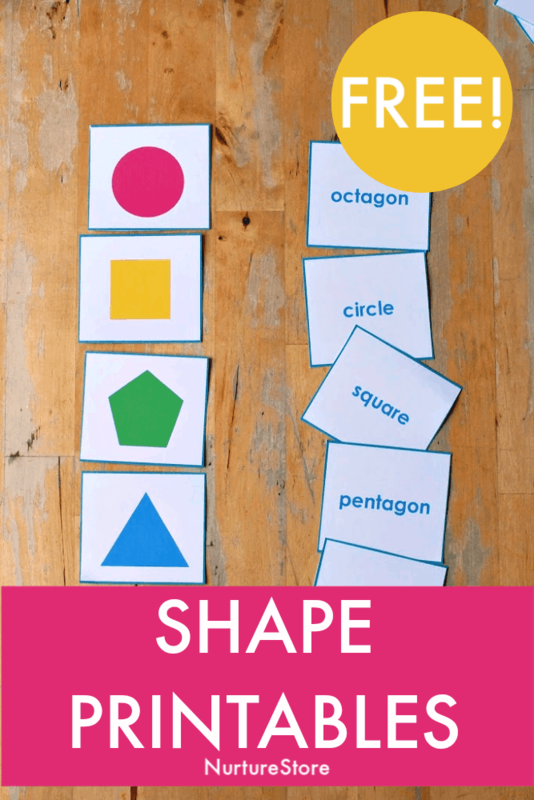 Let’s learn about shapes! 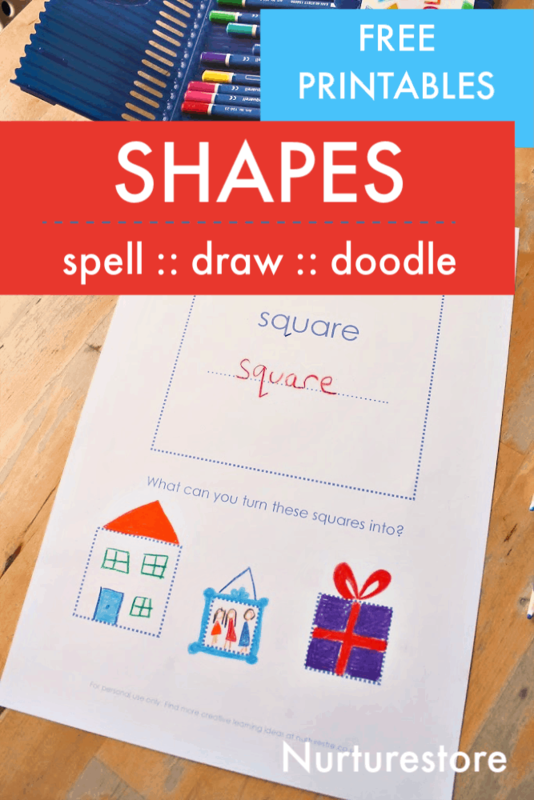 Use these colourful shape printables to learn shape names, count the number of sides, and play matching games. 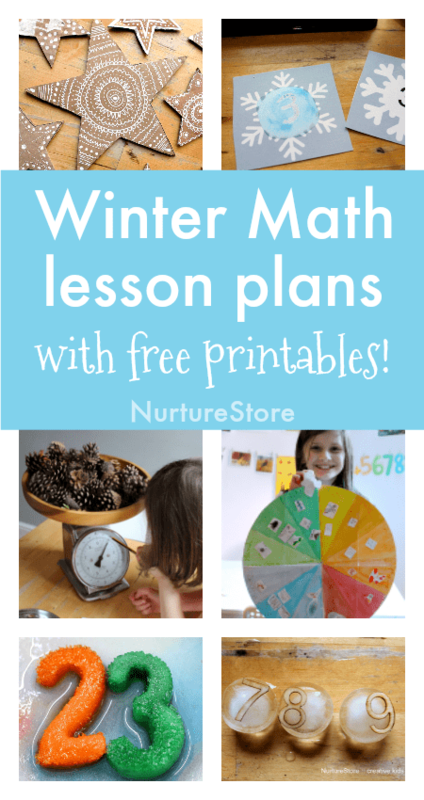 Active math games are more fun than worksheets, aren’t they? 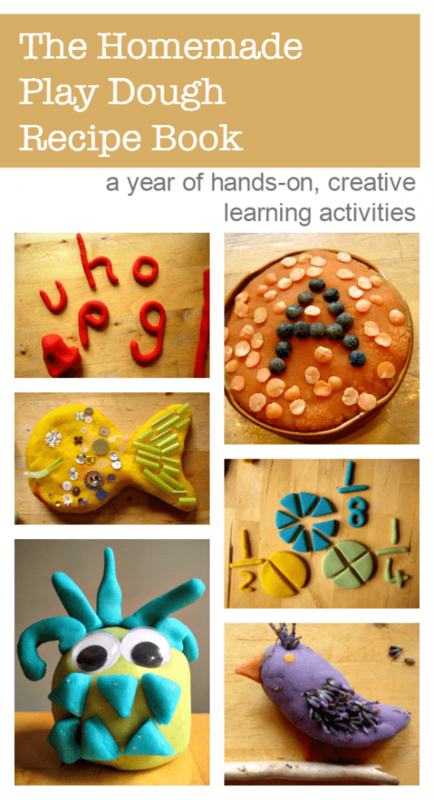 I was reminded of a great phrase this week : hands on, brains on! 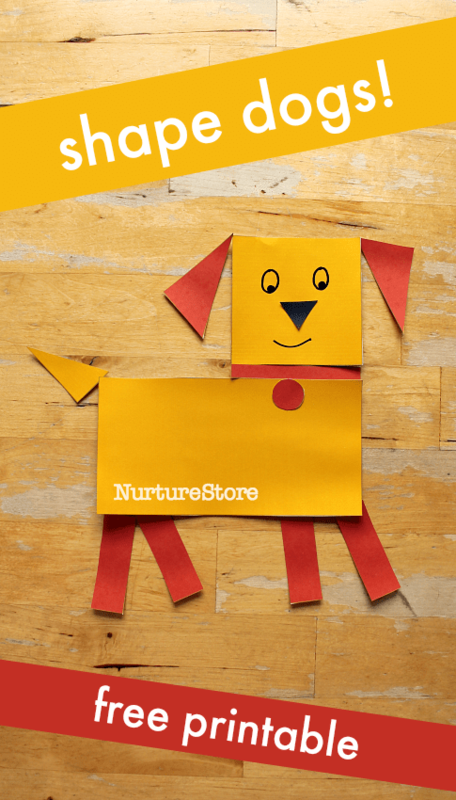 Children learn through their senses, through hands-on play and through doing. 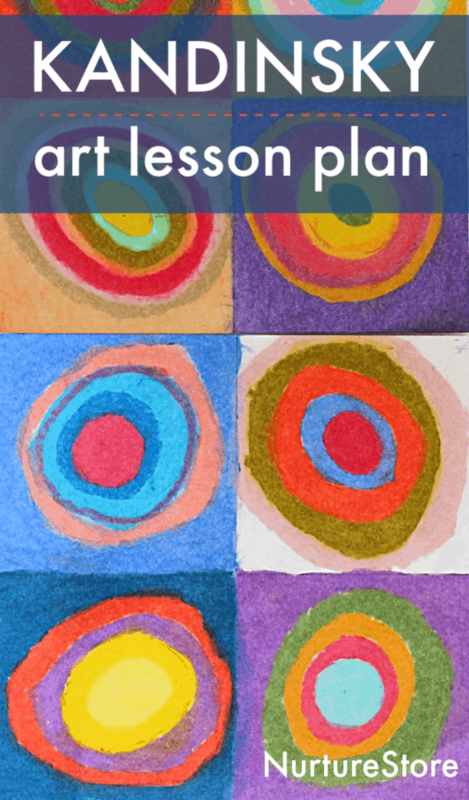 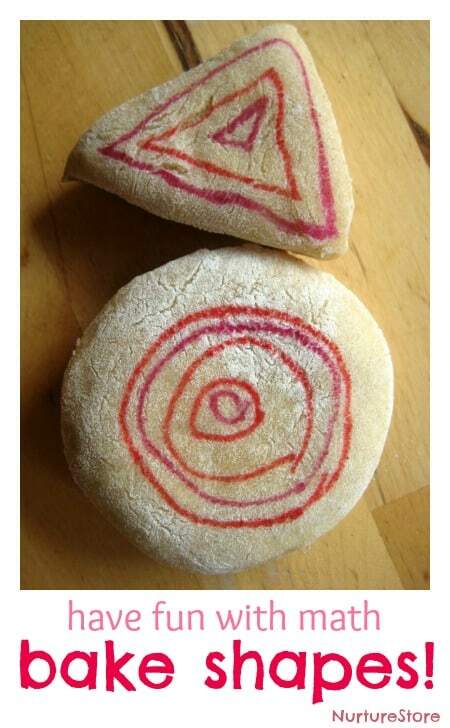 This idea combines all three – let’s bake some shapes!